Pakistan’s nuclear programme is for self-defence and deterrence and is aimed to preserve strategic stability in the region, said Foreign Secretary Syed Aizaz Chaudhry. While speaking to reporters on the eve of Nuclear Security Summit in Washington, he said Pakistan’s nuclear program is fully secured and there has not been a single breach. 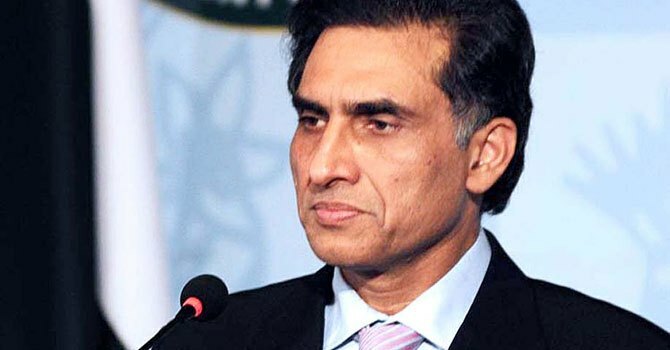 He said steps taken by Pakistan for the safety and security of its nuclear material and facilities have been praised and acknowledged by the United States as well as International Atomic Energy Agency.